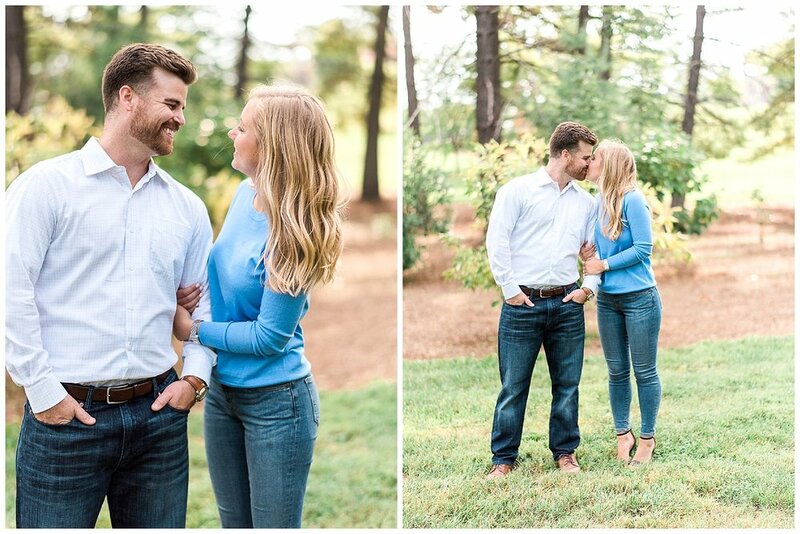 "George and I were SO excited for our engagement pictures! Having met in high school and dated for more than seven years, we had been looking forward to this day for some time. George proposed to me on December 17, 2016 at his parents' home in almost the exact same spot he asked me to be his girlfriend in 2010. We had gone to lunch with my best friend earlier in the day, and I had absolutely no inclination that I would go to sleep that night engaged to the man of my dreams. We pulled into his parents' driveway on our way home from lunch, and he suggested that we go to the back yard to see "a project" that his mom and dad had worked on that day. I had no reason to believe any different, so I followed along. As he opened the back door, I saw my family's boat decorated with greenery, wreaths and Christmas lights. When I finally realized what was happening, I immediately broke down in tears (a very rare occurrence for me). He walked me underneath a tent that had been set up specifically for us, got on one knee and asked me to be his wife. When I turned around to see both of our families standing there to congratulate us, I was overjoyed. George knew that I wanted our families to be a part of our engagement because they were and still are so influential in our relationship. As if an engagement wasn't enough, George had arranged for our extended family and friends to come over that evening for a surprise engagement party. The entire day was such a blissful whirlwind, and I wish I could go back and relive it just one more time! 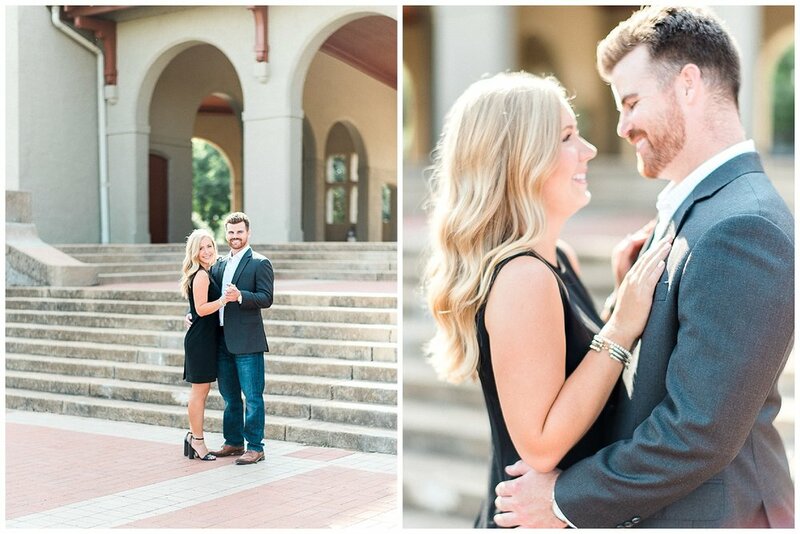 We chose Forest Park in St. Louis for the location of our engagement session because of its vast array of beautiful sceneries, landscapes and structures. 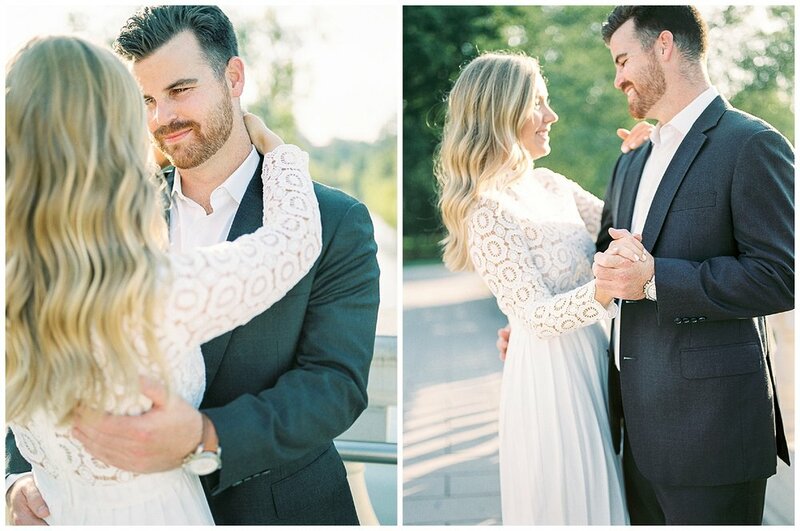 Although we are both from Indianapolis, we wanted to take our photos in the city we now call home. George and I have a very classic, simple style and tried to convey that through our pictures. Our goal was to have photos that could stand the test of time, and we definitely feel we've achieved that. George and I will be getting married on June 9, 2018 in Indianapolis at St. Malachy Catholic Church. Our reception will be hosted at the Scottish Rite Cathedral - my dream venue ever since my dad used to take me there when I was a little girl! 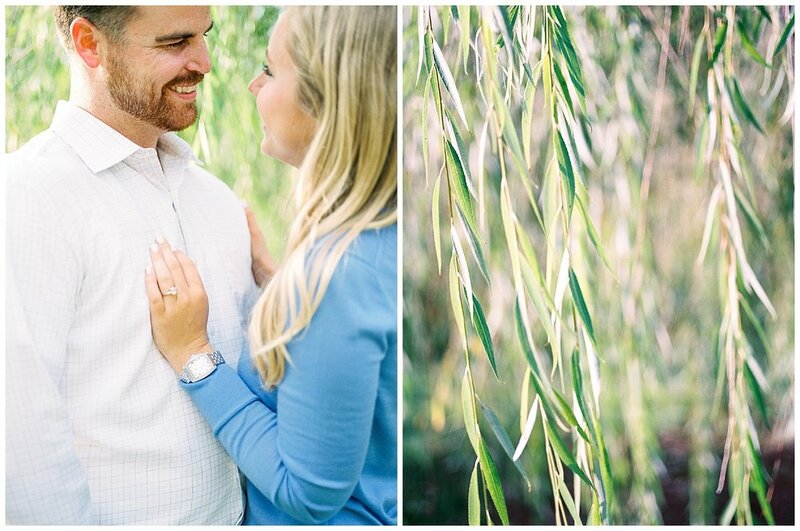 Our hope is that our wedding will achieve that same classic, simple style that was conveyed in our engagement photos."